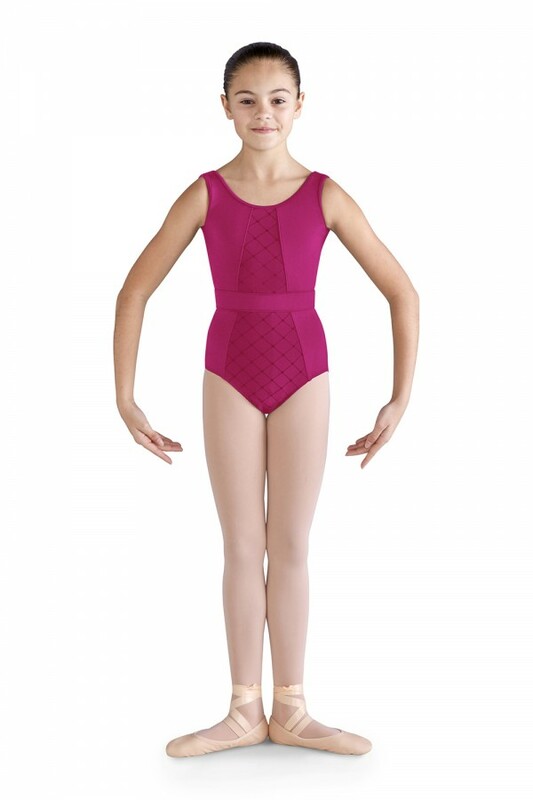 A tank style leotard with special diamond heart flocked mesh treatments. 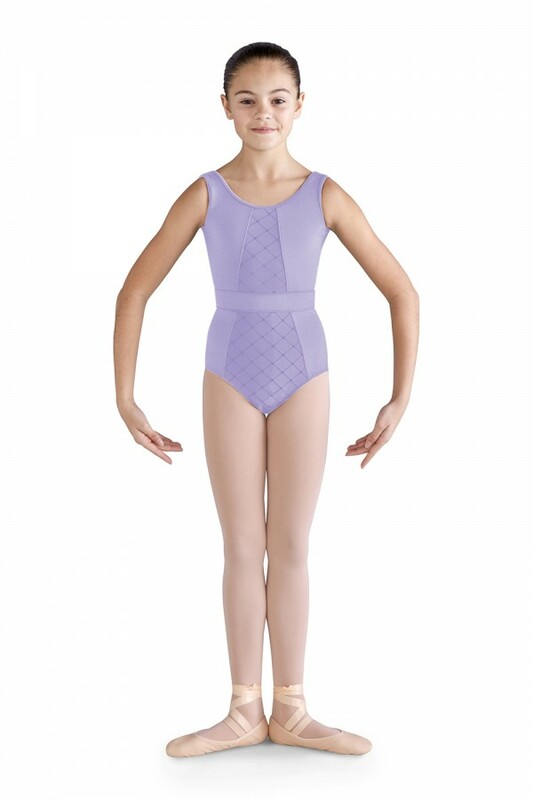 Featuring unique front and back mesh panels and belt detail, this leotard is sure to stand out. 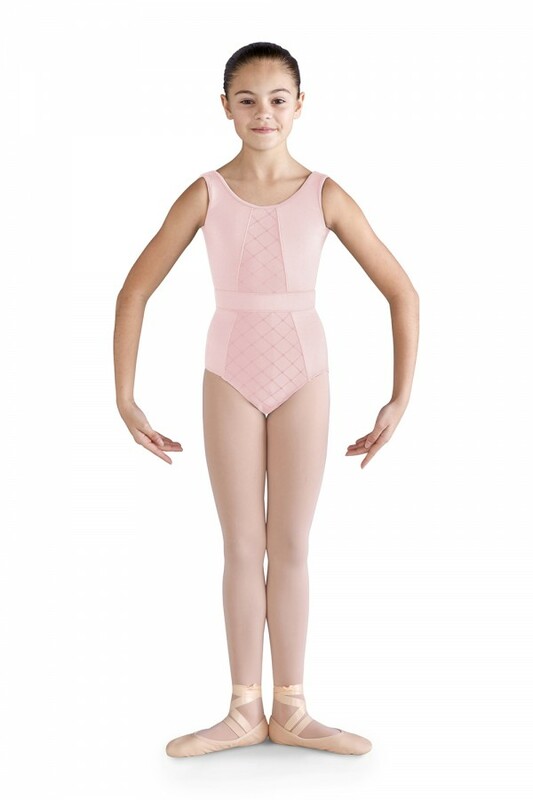 Pair with a skirt for a complete costume, or wear it on it’s own for a simple and elegant look.